Here’s what’s in store for you this September! Subscribe to our newsletter and get your Sample Telemarketing Script for FREE! 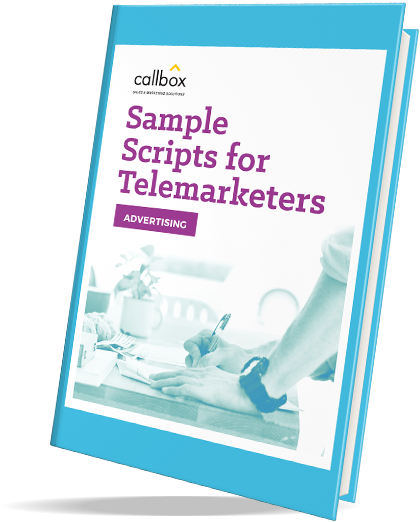 Scripts are used as guide for telemarketers to deliver the right message to their prospects. Our sample scripts for the Advertising Industry are ready-to-use templates with sample call flow for different situations - from your first encounter with the Gatekeeper until your call is transferred to the right person within their organization. Boost your sales team’s confidence when talking to your prospects using the rebuttals for some of the most common objections that you can will encounter during your call. Generate leads and close deals, fast! Sign up now and get the scripts delivered straight into your inbox.